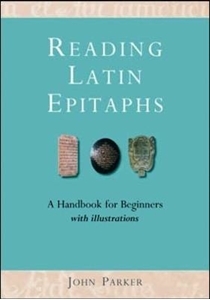 This compact handbook enables users to quickly and accurately read Latin epitaphs in churches, no matter what their knowledge of the language is. John Parker has reproduced the text of 52 church memorials in Latin, and this edition is illustrated with photographs of eight of the epitaphs, providing explanatory captions that help contextualize each inscription. With an introduction that discusses the conventions of lettering, abbreviations, Latinized personal names, and stock phrases found on these memorial stones, "Reading Latin Epitaphs "is not only a volume for ecclesiastical scholars or historians, but an excellent tool for travelers and architecture enthusiasts as well. Giving readers all the tools they need to decipher these texts, Parker has included a very brief Latin grammar that lays out the basics of the language in a clear and concise fashion, and notes on Roman numerals and dates. A glossary of all the words found in the included epitaphs, as well as additional words often found in inscriptions, rounds out this indispensible guide.